1. Compucom Software Ltd is a 2 rupee face value IT Training Services company. Security ID: COMPUSOFT Group / Index: B Face value: 2.00 Security Code: 532339 ISIN: INE453B01029 Industry: IT Training Services company. 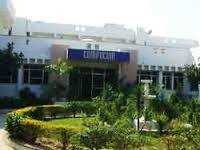 Short Brief of Company Business: - Compucom Software Limited (CSL) is the leading software and education company from the state of Rajasthan, serving customers spread across the six major continents. Rapidly expanding it’s client base and revenue streams, the company now works out of it’s development centers in Jaipur (India) and Atlanta GA (USA). Since it was IPO in 1999, CSL has been listed on the Bombay Stock Exchange (BSE). The company has been adjudged the best software exporter for many years by Software Technology Parks of India (STPI). The State and Central Governments have acknowledged our contributions by various coveted honors and awards, during this course. 3. Promoters of Compucom Software Ltd hold 73.01 and Promoters increase their holding from 72.16%, As per my rule I like an increase in promoters holding. CSL promoters are not pledged any stock. 5. The base price of Compucom Software Ltd is 10.51 So So at CMP 10.67 Compucom Software Ltd just crossed his base price. I want to purchase 100 shares of Wipro Ltd for long-term approx 20-25 years.Do you think is it right.it can create a good wealth.Please suggest me. So Rajnish ji, I think you read my Hindi blog where I give the example that if anyone bought 100 Wipro stock in 1980 then-current market value of his portfolio is 5320 Crore. 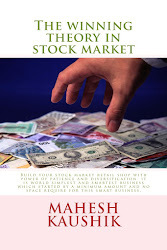 Here is your answer that if you really want wealth creation in the long term then consider small IT company which traded discounted from net sale per share or book value like compucom. If you invest only 1067 in compucom software for buy 100 Share and forget them for 25 year, Then It is not sure that same wipro story will repeat, but you have only INR 1067 to lost but unlimited opportunity to earn. 7. Compucom Software Ltd net sale per share of FY 15-16 is 7.04. 8. Net sale per share 7.04 is below CMP, so this is the reason why I publish this stock under my penny share blog instead of my multi-baggers stock recommendations. But do not worry most of IT stocks traded above his net sale per share for example peer group IT training stock NIIT traded at 98.55 but his net sale per share is 23.04 only. So in compersion of IT sector net sale per share vs. current market price CSL is a value buy. 9. Book value of Compucom Software Ltd is 15.91 Book value is also higher than CMP, So in book value term CSL is a value buy at CMP. 8. Finally, I think Compucom Software Ltd is the best penny stock for long term multiple returns. 9. 200 DMA of Compucom Software Ltd is 10.34. So at CMP 10.67 Compucom Software Ltd traded near his 200 DMA, and If we see June 2016 Result then we find Net profit of the company is increased which is a good sign for upward movement. 10. Fundamental target price of Compucom Software Ltd is 10.038 ( Read my book to learn how to calculate the fundamental target price of any stock.). Please remember that due to low net sale per share and low book value of IT stocks, fundamental target price and book value theory not applicable on IT Stocks. So you may buy it for 25% to 200% returns from here. 11. My recent updates: - Past Performance of App Recommendations. 13.Discloser: - I Mahesh Chander Kaushik author of this research report is an existing research analyst and passed NISM certification for research analysts. I am also registered under SEBI(RESEARCH ANALYSTS) REGULATIONS, 2014 ( SEBI Registration Number INH 100000908 ) hereby disclose about my financial interest in the subject company and the nature of such financial interest:- 1 Me and my associates or relatives have not hold any share of Compucom Software Ltd, so my personal interest is not included in this stock. 2. Me and my associates or relatives have not any actual/beneficial ownership of one percent or more securities of the subject company ( Compucom Software Ltd). 3. Me and my associates or relatives have not any other material conflict of interest at the time of publication of the research report. 4. Me and my associates or relatives have not received any type of compensation from the subject company(Compucom Software Ltd) in the past twelve months. 5. I am not served as an officer, director or employee of the subject company ( Compucom Software Ltd). 6. I have been not engaged in market making activity for the subject company (Compucom Software Ltd).